Peter has been with our firm since 2003. Mr. Keon received his advanced (Masters) degree in Tax Law, as well as his Juris Doctorate Degree from Temple University School of Law. 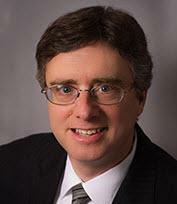 Mr. Keon also holds the Certified Public Accountant designation and previously practiced as a CPA before entering law. He earned his Bachelors Degree from Franklin & Marshall College. In 2013, Mr. Keon was awarded his Certification as a California State Bar Specialist in Estate Planning, Probate and Trust Law. Mr. Keon's specialty areas include the IRA Inheritance Trust® and the Flexible Irrevocable (Insurance or Gift) Trust. Mr. Keon is an avid professional baseball fan and resides in Mar Vista.